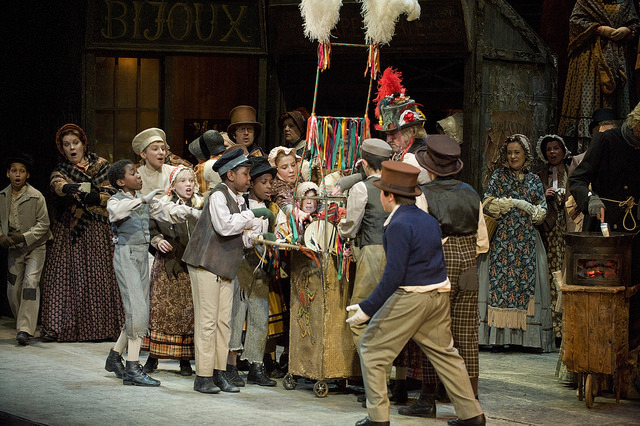 Giacomo Puccini’s romantic depiction of bohemian Paris, with memorable music and a love story drawn from everyday life, has captivated audiences round the world, making La Bohème one of the best-loved of all operas, in fact it is my favourite Opera! 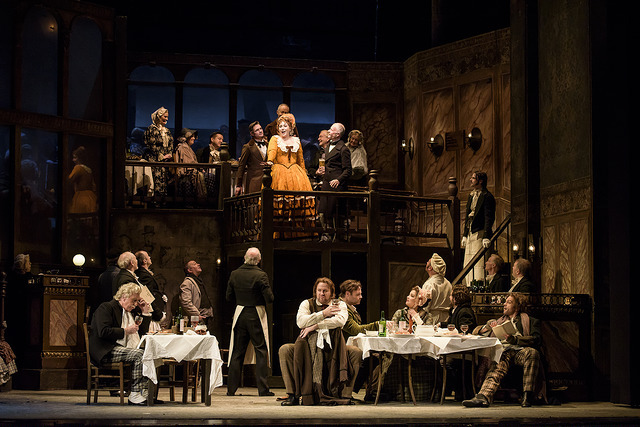 It was first performed in Covent Garden in 1897 and has had over 500 performances since. 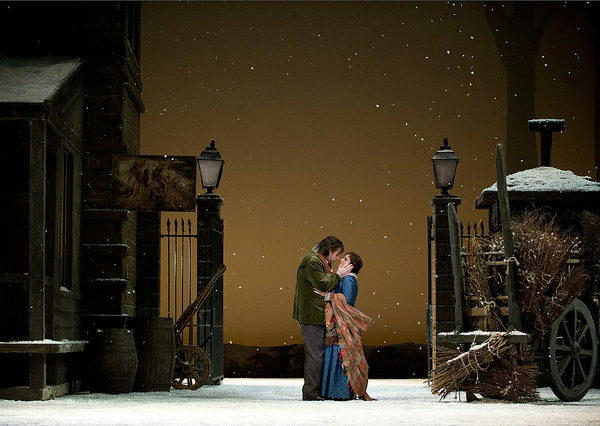 The Royal Opera House Live has allowed more people to access the Opera and this January they showed a beautiful performance of La Bohème. 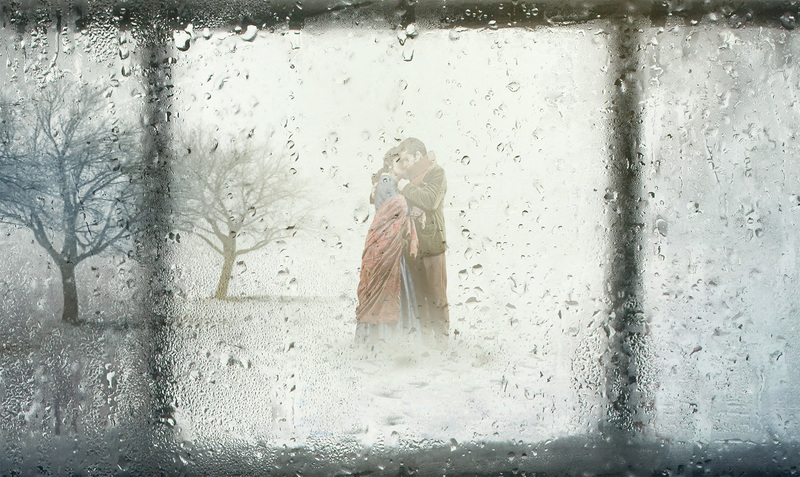 The story of La Bohème is about Rodolfo, a penniless poet who meets Mimì, a seamstress, they fall passionately in love. But their happiness is threatened when Rodolfo learns that Mimì is gravely ill. Rodolfo and Mimì’s meeting in Act I is the centrepiece of La Bohème, the most intimate, utterly believable depiction that I know of the process of two people falling in love. Dmytro Popov performed the role of Rodolfo after Mexican tenor Rolando Villazón had to withdraw from singing the role as he was suffering from acute bronchitis. Dmytro made his role debut with The Royal Opera as Ivan Sergeyevich Lïkov (The Tsar’s Bride). Previous roles include Macduff (Macbeth) in Lyons, Bogdane Sobinin (A Life for the Tsar) in Montpellier, and Cavaradossi (Tosca) and Pinkerton (Madama Butterfly) for Deutsche Oper Berlin. Dmytro was simply outstanding, his voice sublime and the passion was breathtaking, hitting the high notes with complete confidence and beauty of line. Mimi is performed by Maija Kovalevska, a Latvian soprano opera singer. Kovaļevska rose to international prominence in 2006 after winning the Operalia, The World Opera Competition, judged by Plácido Domingo. In 2011 she starred as Michaela in the Royal Opera House 3D film production of Bizet’s “Carmen.” Maija’s Mimì is compelling her voice grabs you, she is a glinting, powerful soprano. John Copley’s production recreates Paris in the 1830s, from the lively Latin Quarter, where hawkers and traders ply their wares, to a drafty attic where impoverished artists live. Rodolfo and Mimì’s love story is given moving expression through Puccini’s score, from their first meeting in Act I to their final, poignant scene together in Act IV. These moments of emotional intensity are contrasted with the colourful spectacle of the Café Momus and surrounding streets, which present a cross-section of Parisian society in all its noise and vibrancy. Puccini’s music offers endless opportunities for the orchestra to let rip in those glorious, swelling string phrases, and it’s only too easy to get carried away and overpower everything, here there was space for the singers to rise above the orchestra for the vast bulk of each aria, making the soaring climaxes all the more intense when they came. Puccini also has several shock moments – harsh fortissimi chords coming out of nowhere: these are all the more powerful if there is greater contrast to the music that precedes them. In director John Copley’s production the sets are a photo-realistic interpretation of an artist’s garret, busy café and cold, winter Parisian street. Within this realistic setting, every performance seemed utterly believable – the horseplay between the group of friends, the baiting of the hapless landlord Benoît and the sugar daddy Alcindoro, the break-ups and reunions of the lovers and, most of all, the dreadfulness of the scene at Mimì’s deathbed when everyone shuffles around wanting to help but not really sure where to put themselves. What makes it so effective is the attention to detail of every movement and gesture, the wintry snowfall in Act III is magical and sincere poignancy in the final Act. It’s so authentically close to the innermost spirit of the opera that for me I’m going to class it as ageless rather than ageing. You can see more Royal Opera House Live productions this year including Tchaikovsky’s Eugene Onegin on 20th February and the critically acclaimed Alice’s Adventure in Wonderland on 28th March. See the Royal Opera House website for more live screening details for this year.